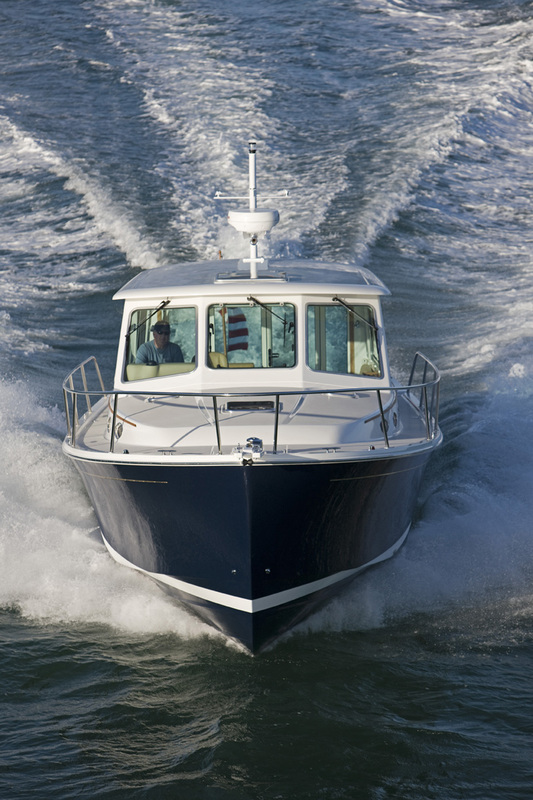 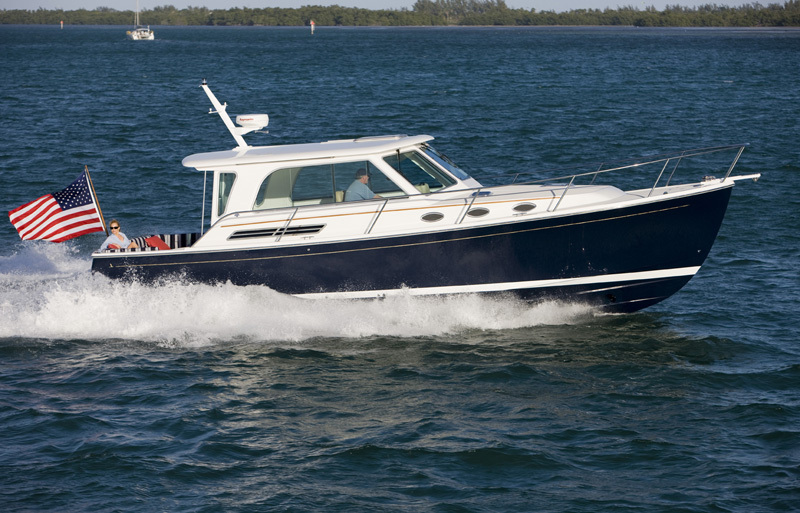 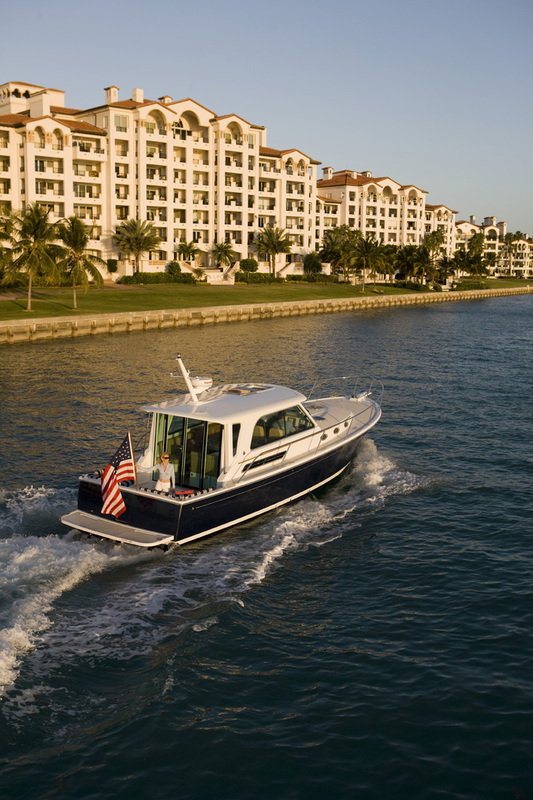 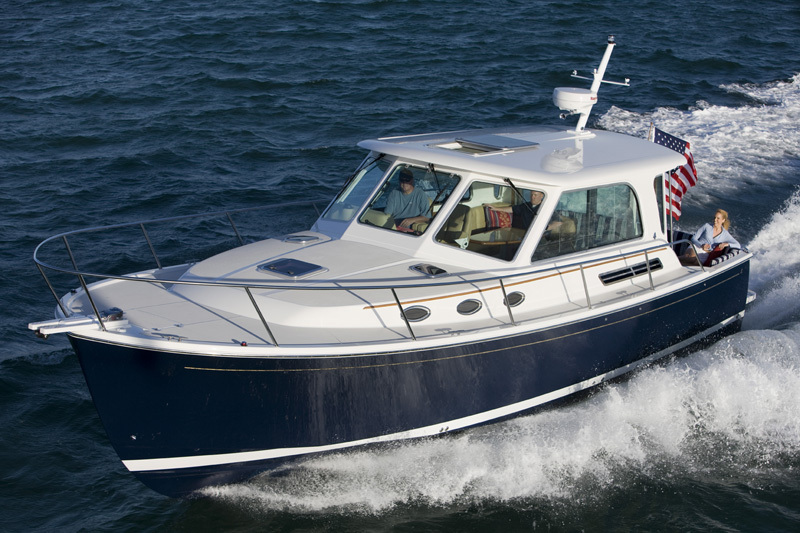 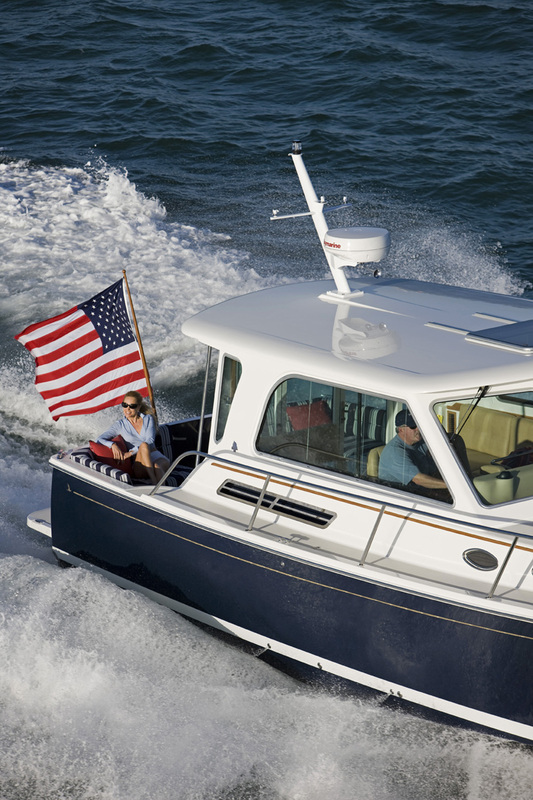 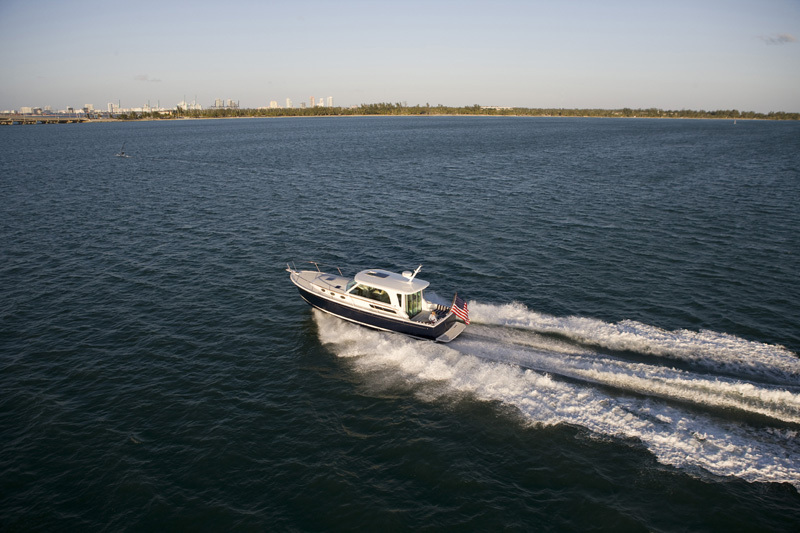 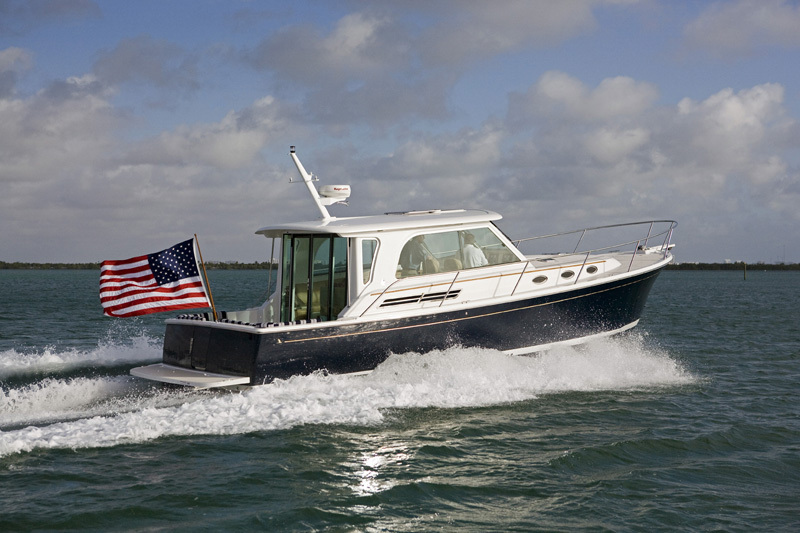 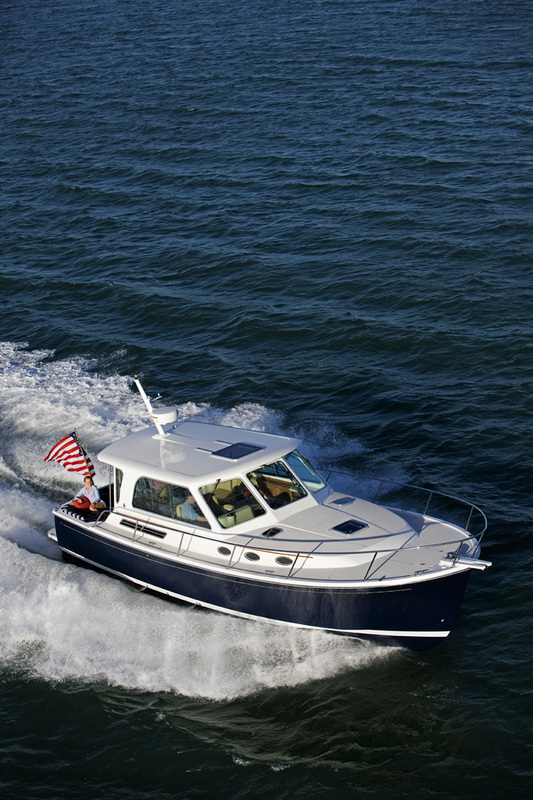 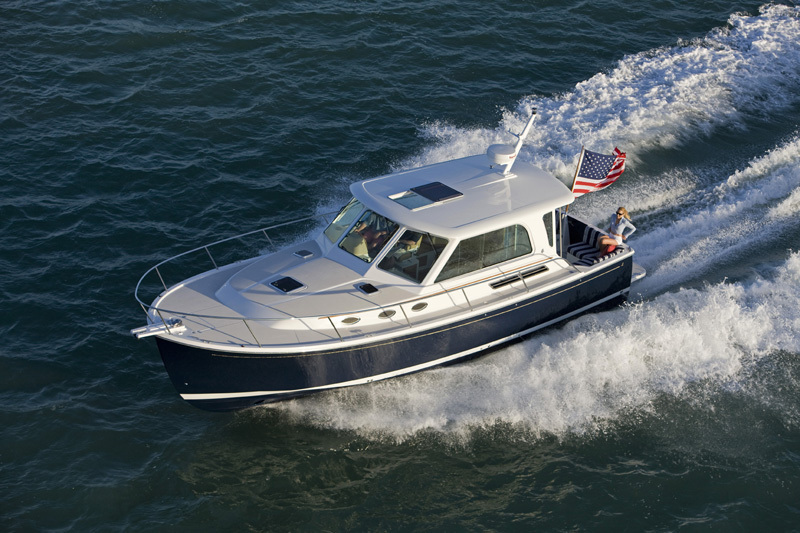 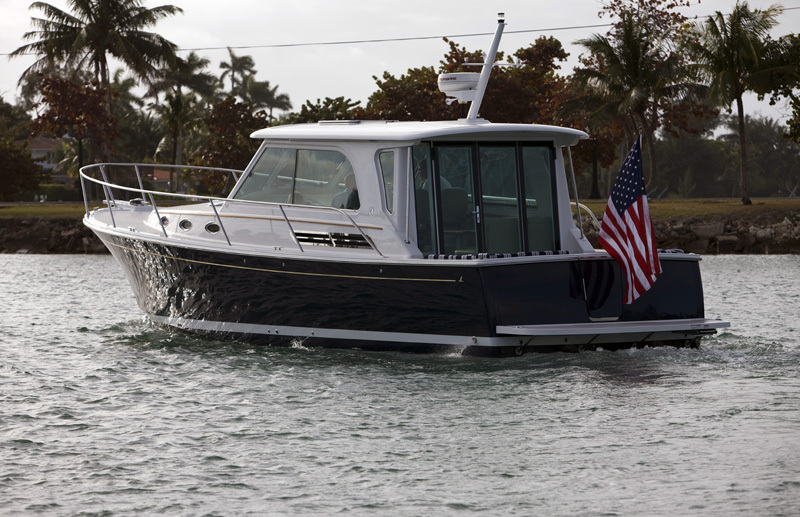 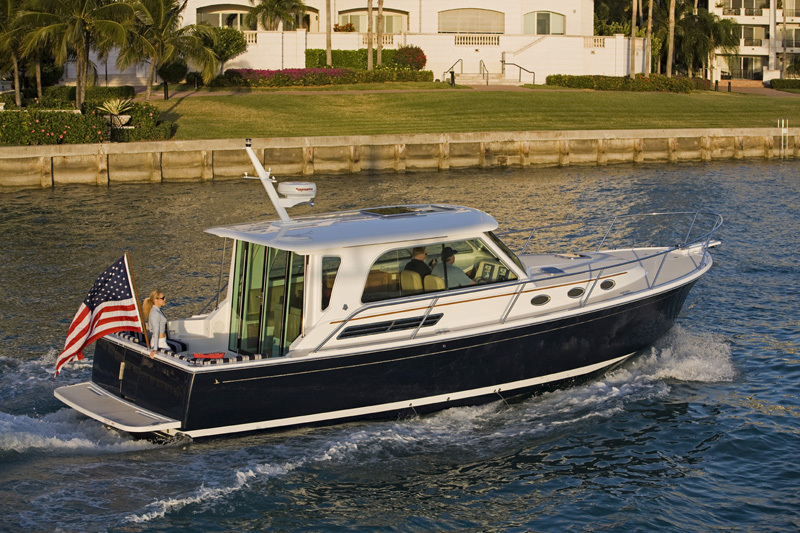 The fuel efficient Back Cove 37 is exemplary for long range cruising. 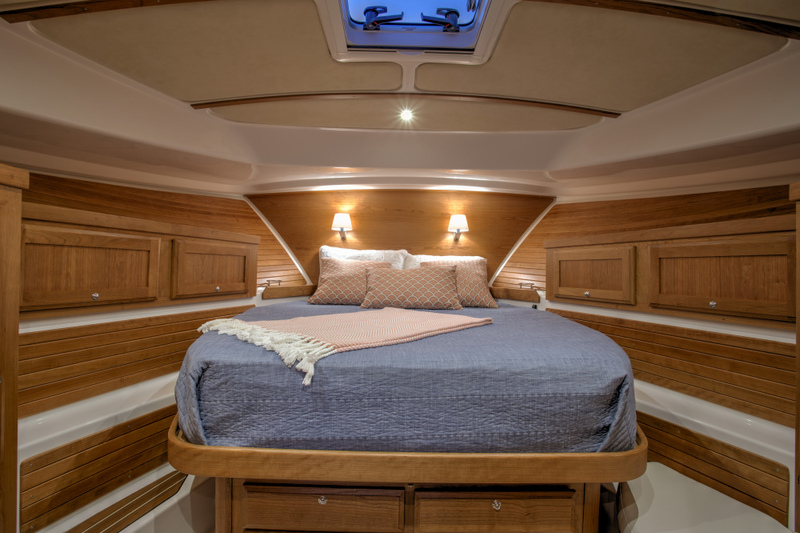 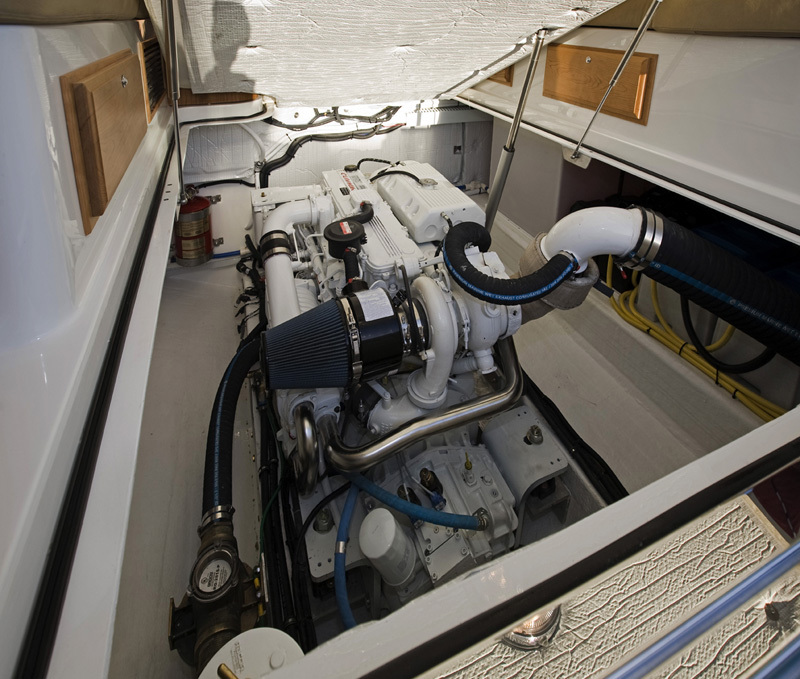 In the master stateroom, the Back Cove 37 features an island berth for ease of egress, with ample stowage for owner’s gear, including many lockers and drawers. 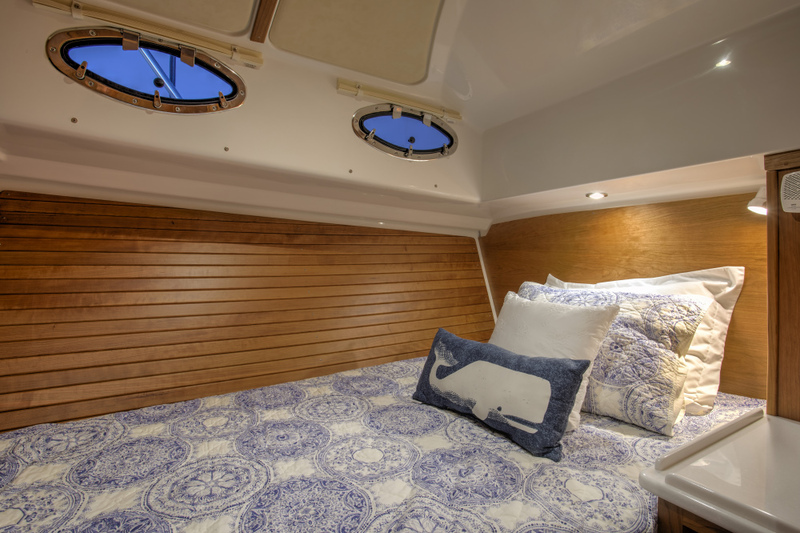 To starboard aft of the master is a full guest cabin with a pullman berth and yet more storage capacity. 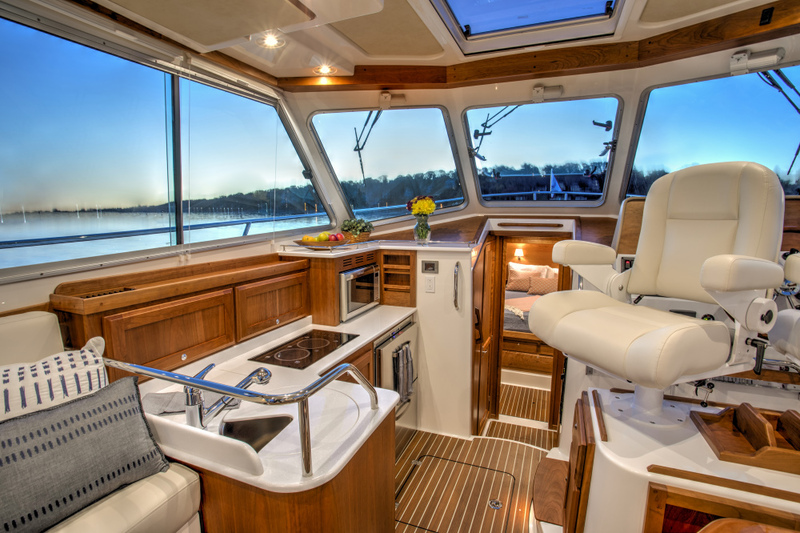 Opposite and to port is a large head unit with separate stall shower. 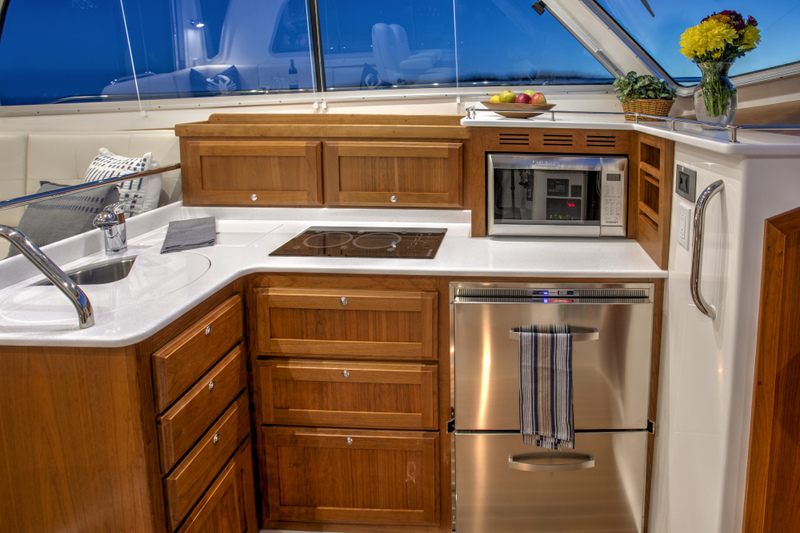 Between the lower and salon sole levels, the mid-galley is fully equipped with a refrigerator, freezer, convection microwave and deep stainless steel sink. 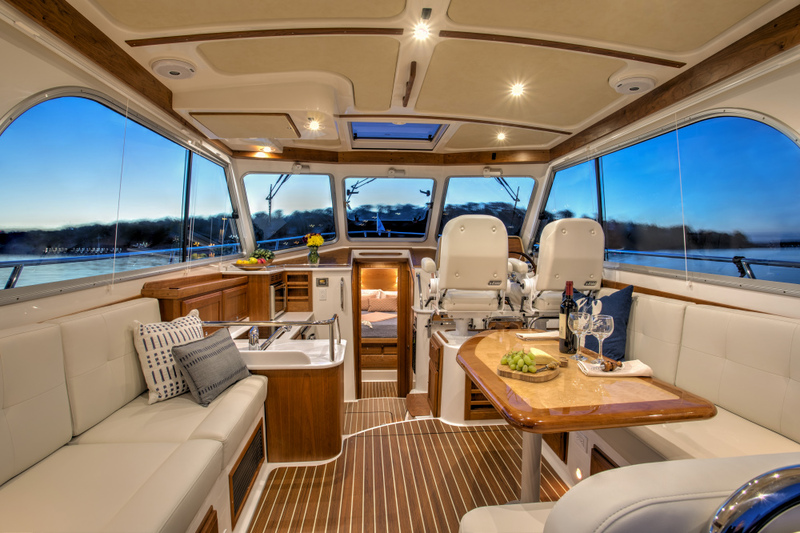 Large windows overhead flood the galley with natural light. 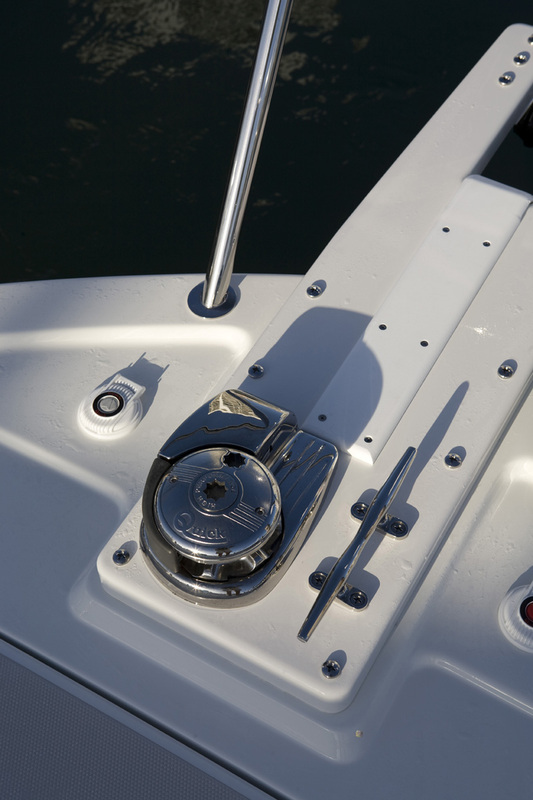 At the helm, twin helm seats are provided for the helmsman and crew. 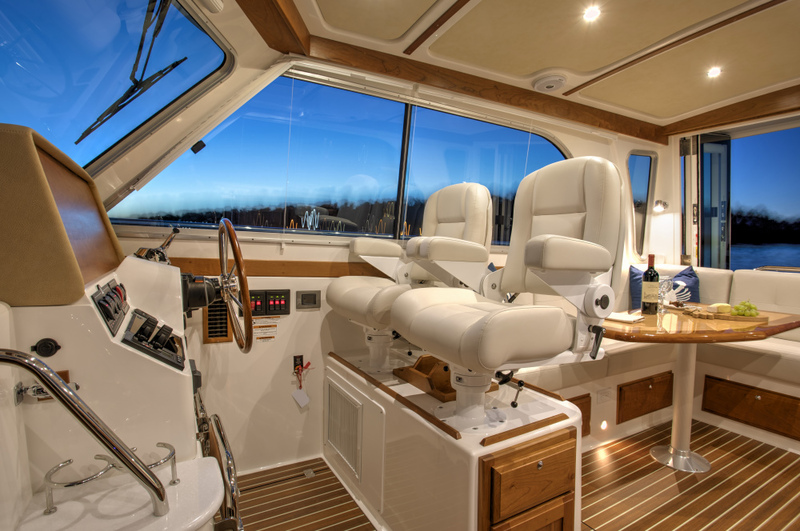 Aft of the helm, the salon features an L-shaped settee and to port a two person love seat. 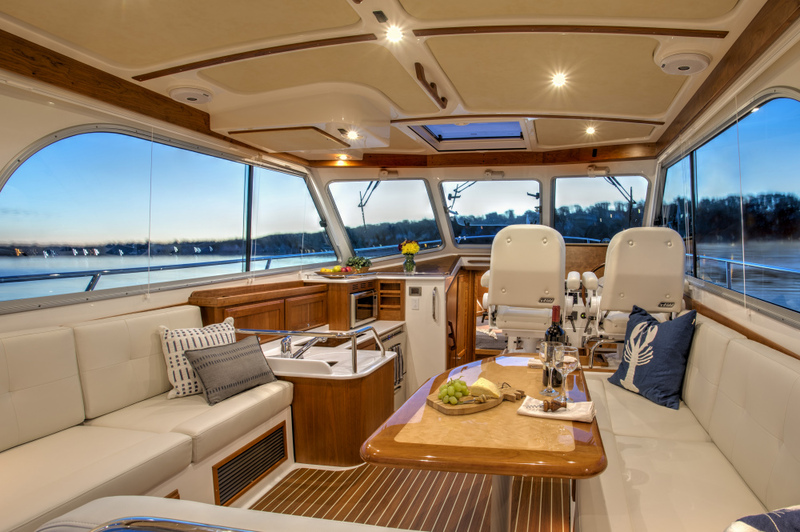 An elegant inlaid table offers a comfortable space for dining with guests. 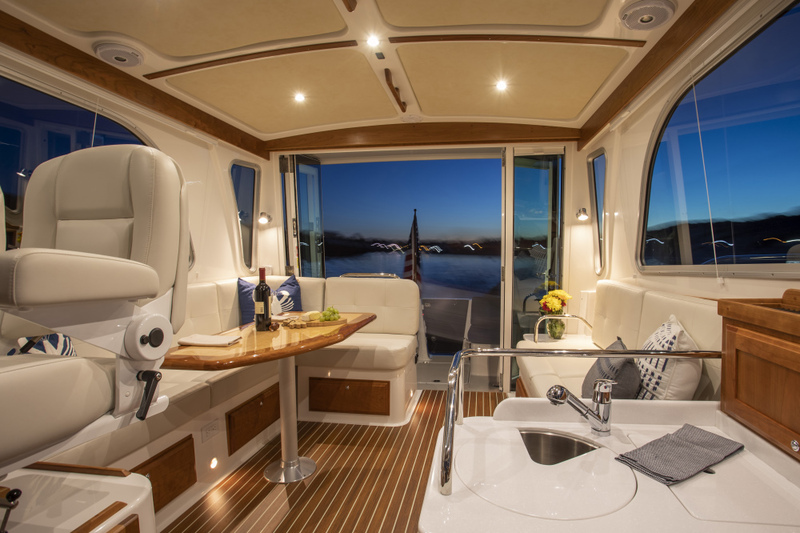 Full windows offer fresh air and full 360-degree visibility while overhead a large sliding pilot hatch allows more air to flow through the salon. 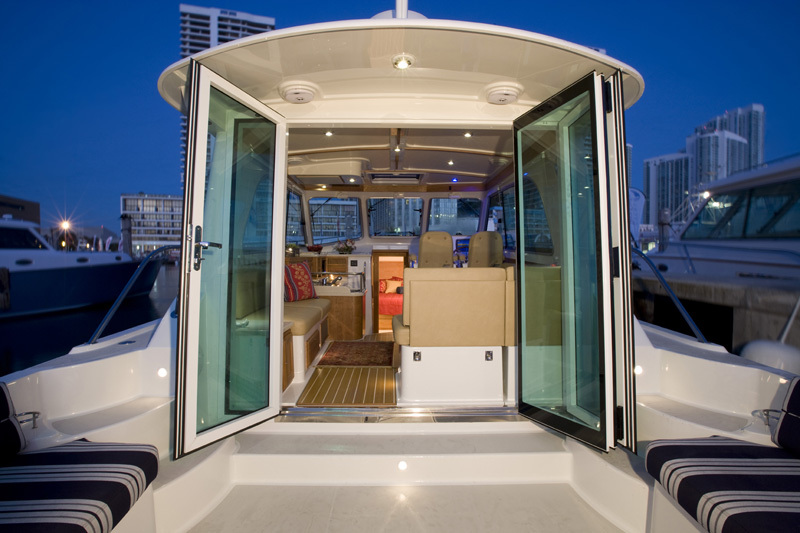 At the aft end of the pilothouse large swing-bi-fold doors completely open up the salon to the cockpit. 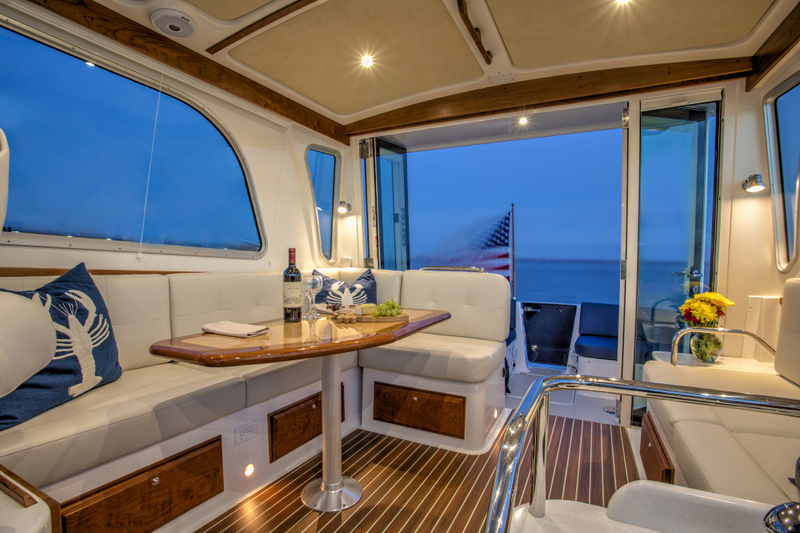 At the transom, fixed seating will provide the comfort you desire for socializing with guests.